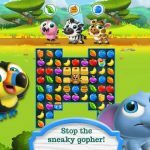 Hungry Pets Mania, or Hungry Babies Mania: Wildlife as it’s still known on Android, is a game from Storm8 Studios that continues in its series of “Mania” Match 3 titles. The game is also available for iOS devices, and it takes you from the sun-baked savannah to the icy arctic, as you solve hundreds of Match 3 puzzles, with your goal being to feed and befriend all those cute baby animals. 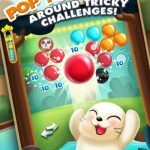 To be more specific, there are more than 500 puzzles, a variety of wild baby animals, and different twists that set this apart from other games in the now-classic genre of Match 3 gaming. And you better believe it when we say that the obstacles get harder and harder as you go on and complete more levels. How do you get past the twists and turns in this game? If you’re familiar with Storm8’s other Match 3 titles, you probably know what to expect. But if these “Mania” games are new to you, or if you need some help completing more levels, we advise you to try our list of Hungry Pets Mania tips and tricks. Although, you should match three pieces if you get the opportunity to do so, it’s once again better to match four food pieces or more. Matching four pieces in a row will get you a box of milk, which clears one line. Matching five in an L-shape, a T-shape, or a plus sign will get you a jelly bomb that destroys all pieces of food in a 3×3 area on the board. 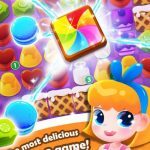 Matching five in a row will allow you to create a rainbow piece, which you can use to destroy all pieces of a certain color. Better yet, you can try matching two special pieces in one match, if the opportunity arises. For example, mixing a milk box and a jelly will destroy three consecutive rows. Matching two jellies takes out a 5×5 area, instead of a much smaller 3×3 area. Matching a rainbow piece with a milk box or jelly bomb converts all other pieces into milk or jelly and destroys them. Matching two rainbow pieces, however, is the best thing you can do in this game, as you can blow up ALL pieces of food on the board. For each unsuccessful level, you lose one life out of the five you have, and your lives replenish in intervals of 30 minutes. That could lead to some long waits, and since game developers are now much smarter and nerfing time lapse cheats (or punishing those who do so), you might want to connect your game to Facebook, and add some of your Facebook friends. You can then ask them for lives, or give them lives when they ask you in return. 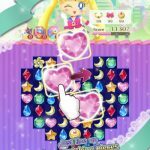 Gems are Hungry Pets Mania’s premium currency, and connecting your game to Facebook, just as we showed you above, can earn you some for free. You can also go to the Challenges tab and complete all the available ones in order to earn free gems. Completing a collection of babies, as found on the Baby Book, is a third way for you to earn gems for free. That’s all for now, as far as our Hungry Pets Mania tips and tricks are concerned. Enjoyed our tips? Discovered some additional tricks, that we haven’t mentioned in this guide? Be sure to let us know, by commenting below!